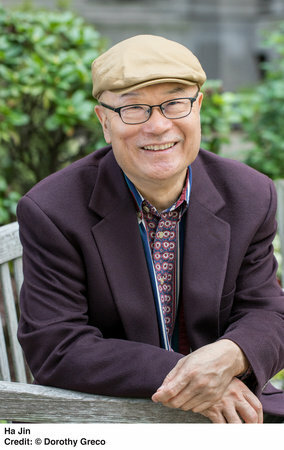 HA JIN left his native China in 1985 to attend Brandeis University. He is the author of eight novels, four story collections, four volumes of poetry, and a book of essays. He has received the National Book Award, two PEN/Faulkner Awards, the PEN/Hemingway Foundation Award, the Asian American Literary Award, and the Flannery O'Connor Award for Short Fiction. In 2014 he was elected to the American Academy of Arts and Letters. He lives in the Boston area and is a professor at the creative writing program at Boston University.